A gripping vision of our society radically overturned by a theocratic revolution, Margaret Atwood’s The Handmaid's Tale has become one of the most powerful and most widely read novels of our time. Like Aldous Huxley’s Brave New World and George Orwell’s Nineteen Eighty-Four, The Handmaid's Tale has endured not only as a literary landmark but as a warning of a possible future that is still chillingly relevant. Nominated for the first ever Man Booker International Prize representing the best writers in contemporary fiction, Margaret Atwood is the author of more than 35 internationally acclaimed works of fiction, poetry and critical essays. Her numerous awards include the Governor General’s Award for The Handmaid’s Tale, and The Giller Prize and Italian Premio Mondello for Alias Grace. 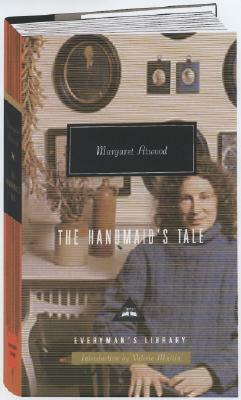 The Handmaid’s Tale, Cat’s Eye, Alias Grace, and Oryx and Crake were all shortlisted for the Man Booker Prize, which she won with The Blind Assassin. She is a Fellow of the Royal Society of Canada, and has been awarded the Norwegian Order of Literary Merit and the French Chevalier dans l’Ordre des Arts et des Lettres among many others; she is a Foreign Honorary Member for Literature of the American Academy of Arts and Sciences. She lives in Toronto.